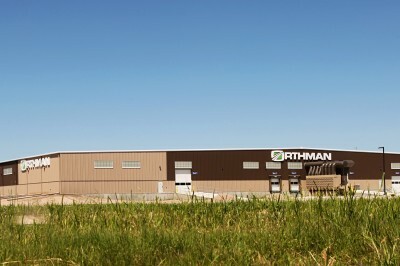 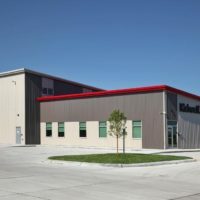 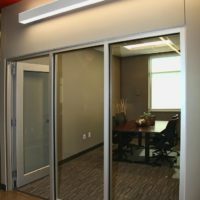 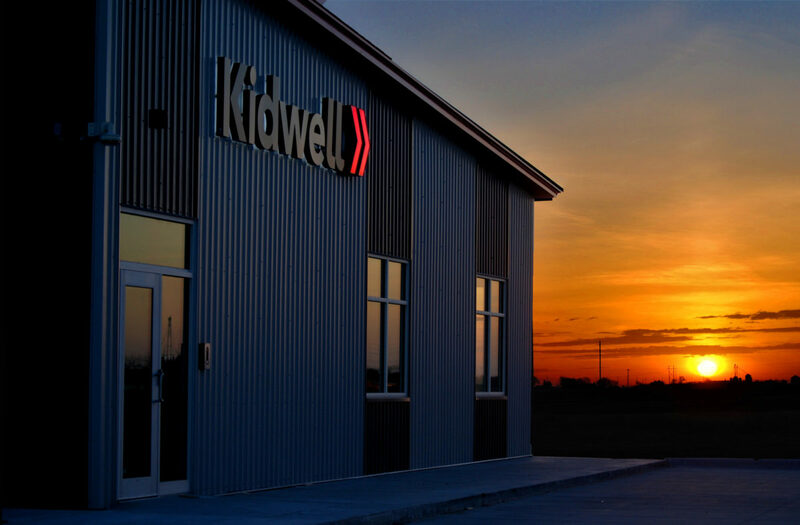 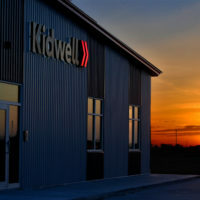 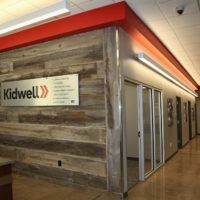 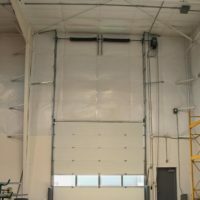 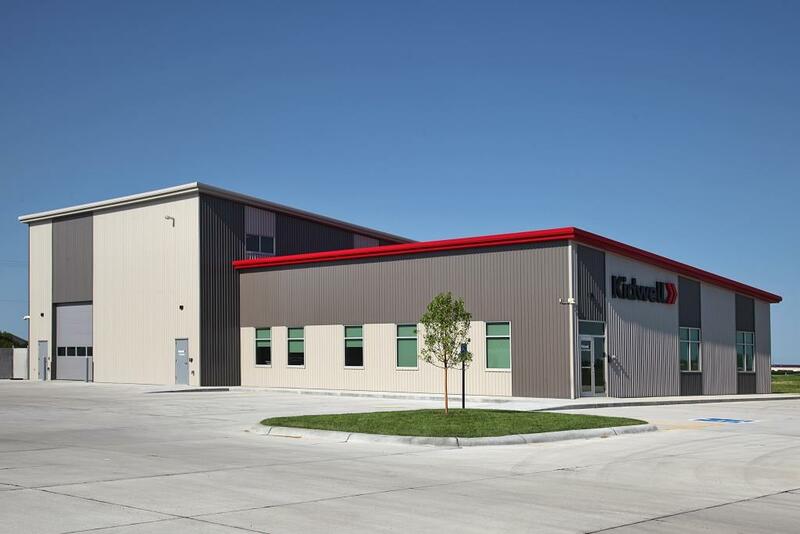 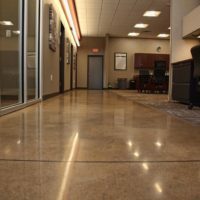 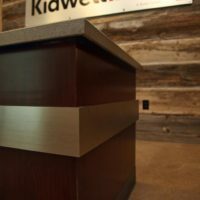 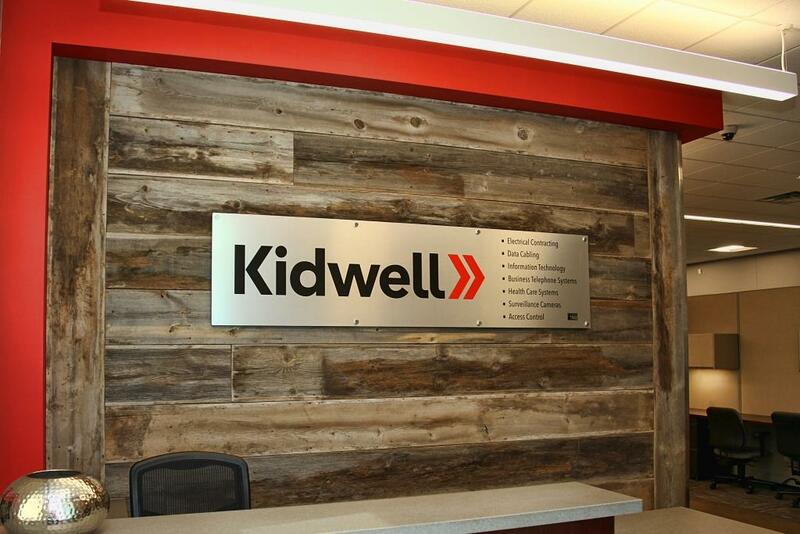 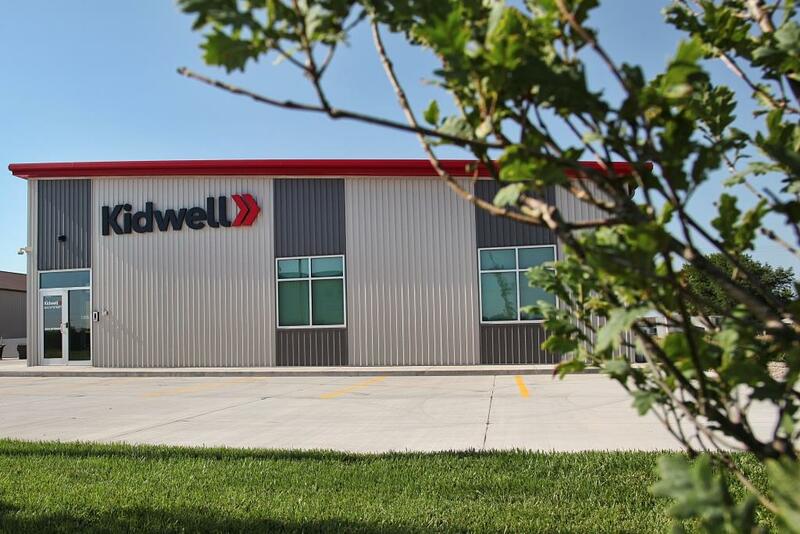 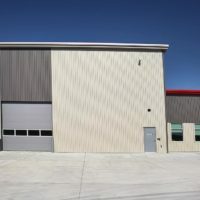 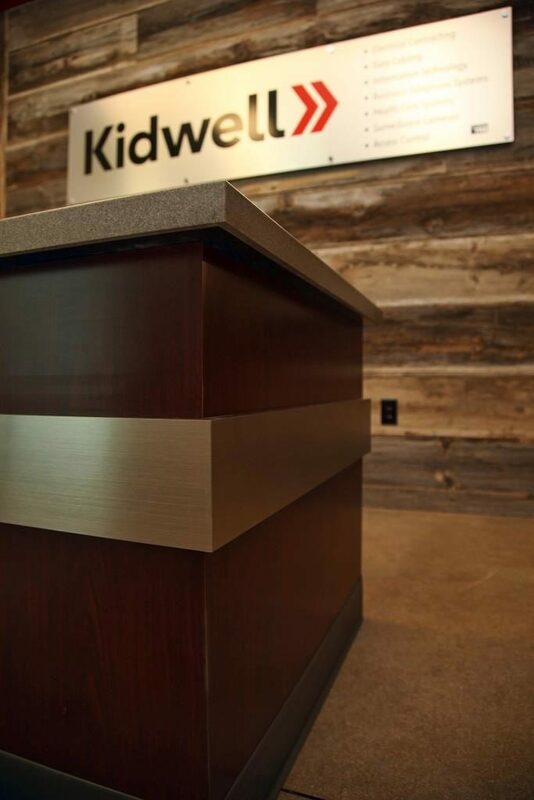 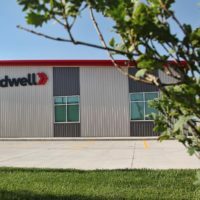 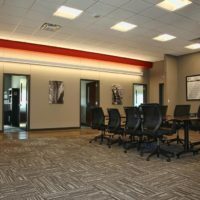 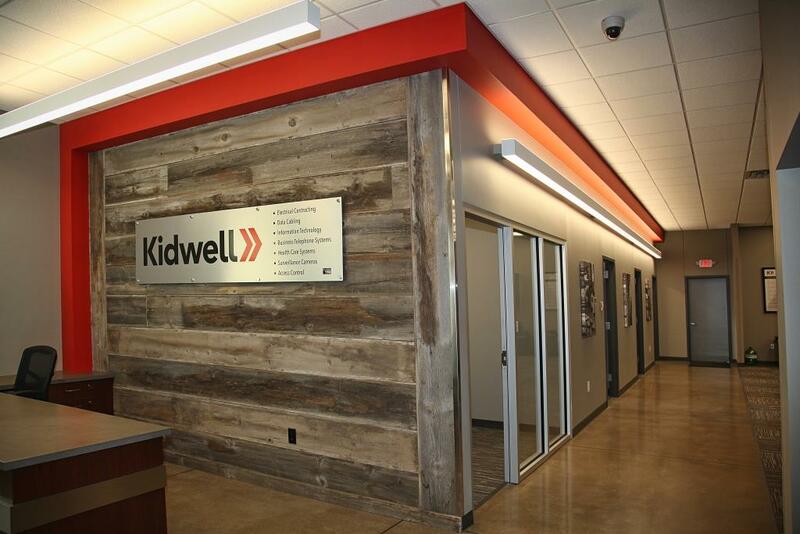 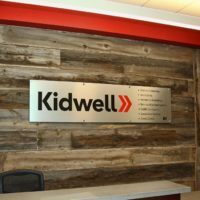 Kidwell’s uniquely designed pre-engineered metal building establishes a strong, on-brand presence in Kearney for the electrical contractor. 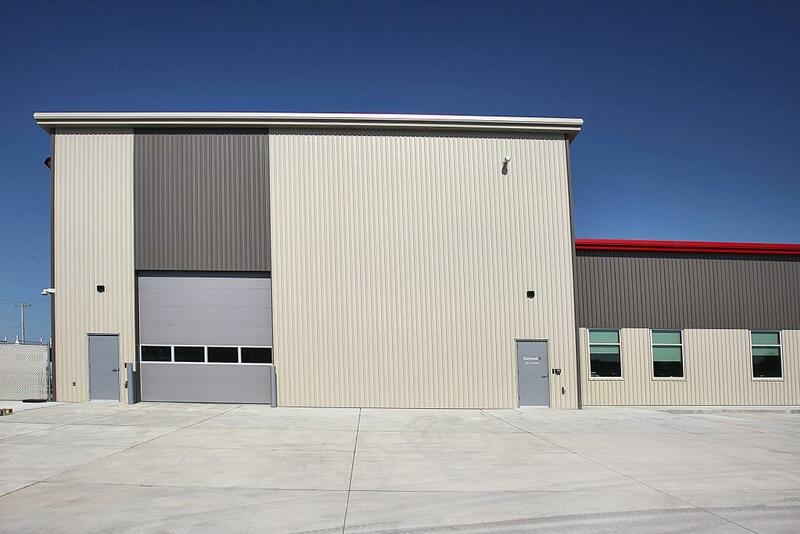 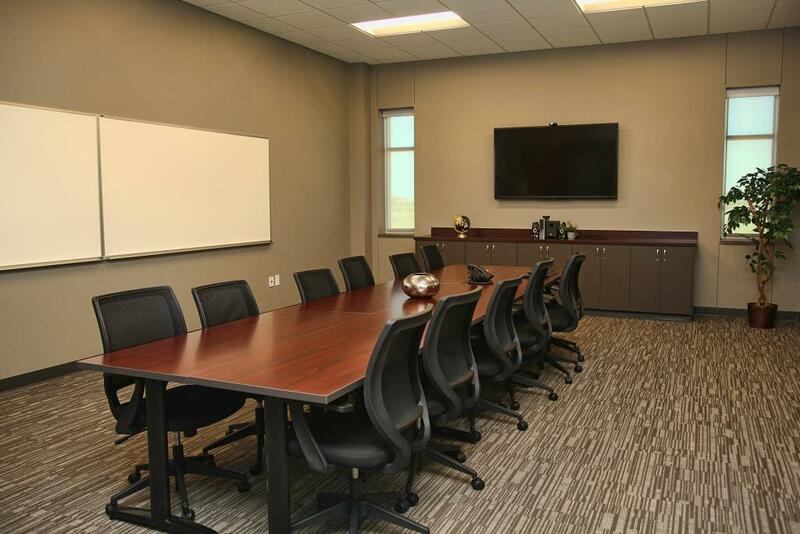 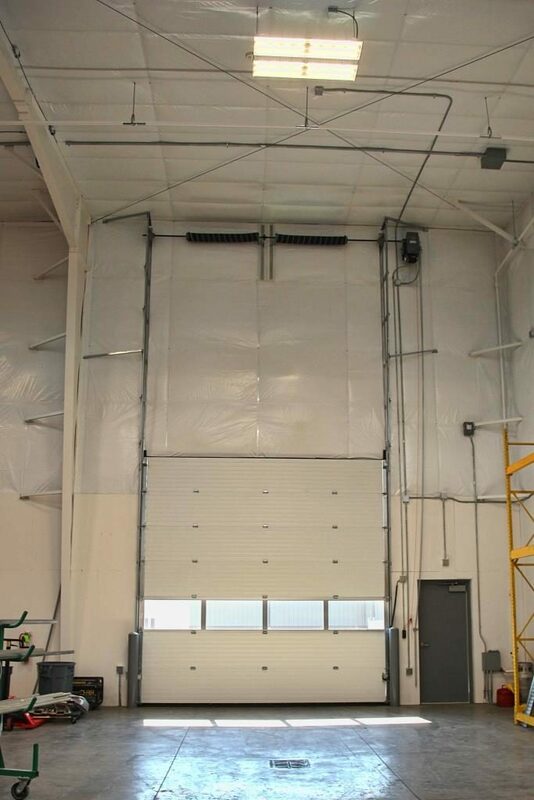 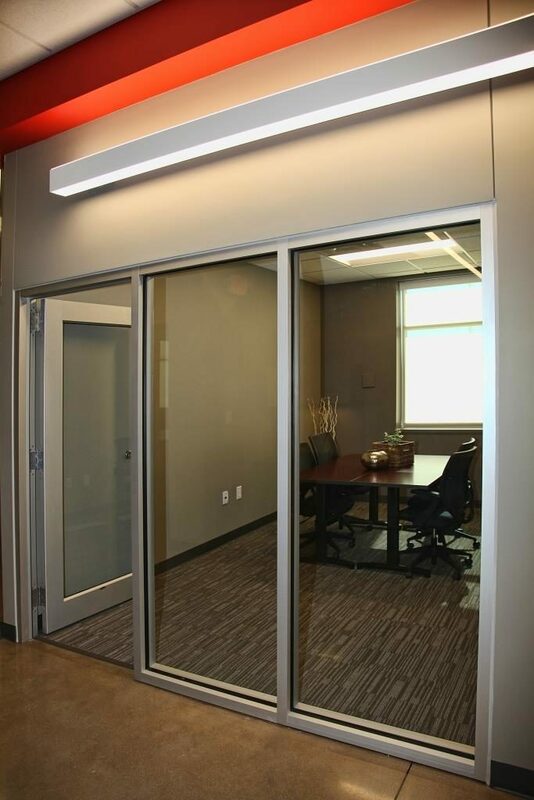 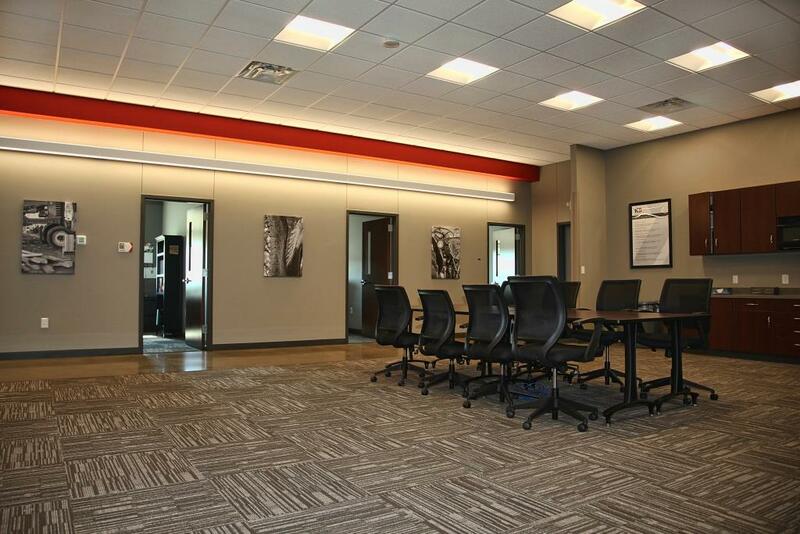 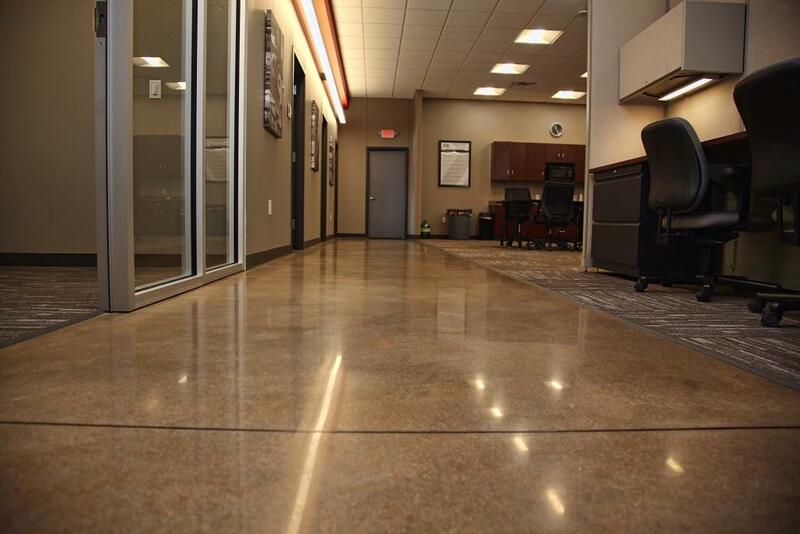 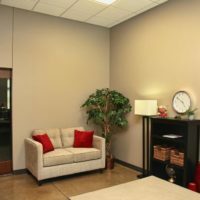 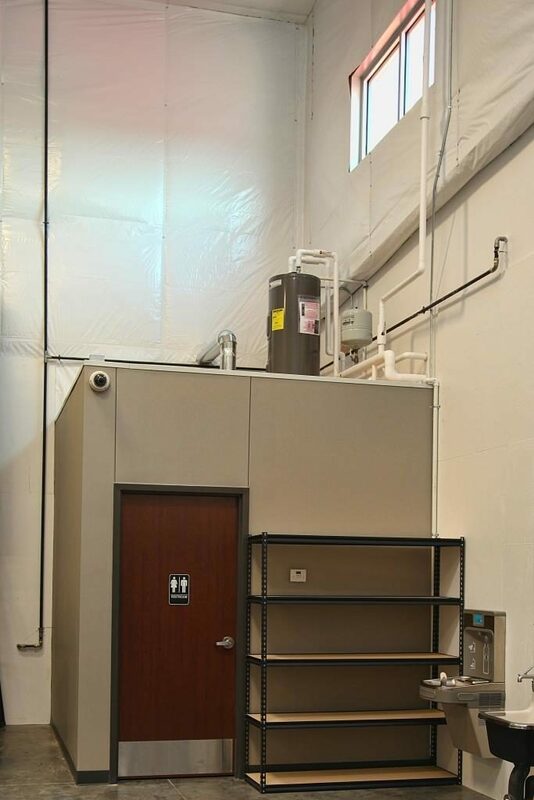 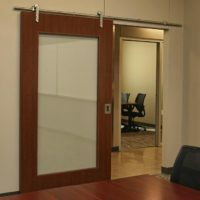 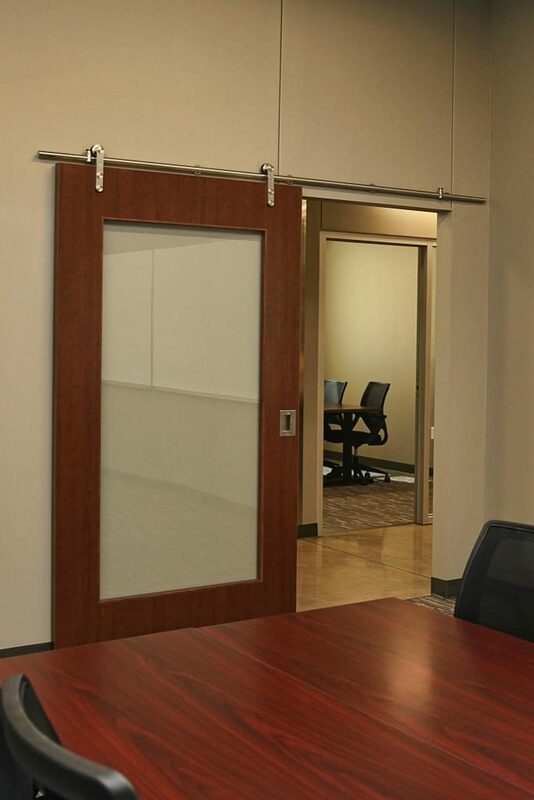 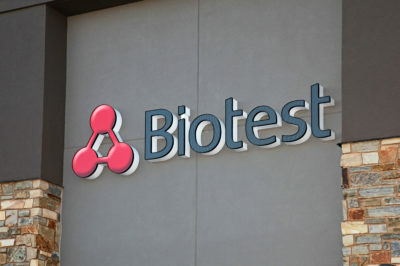 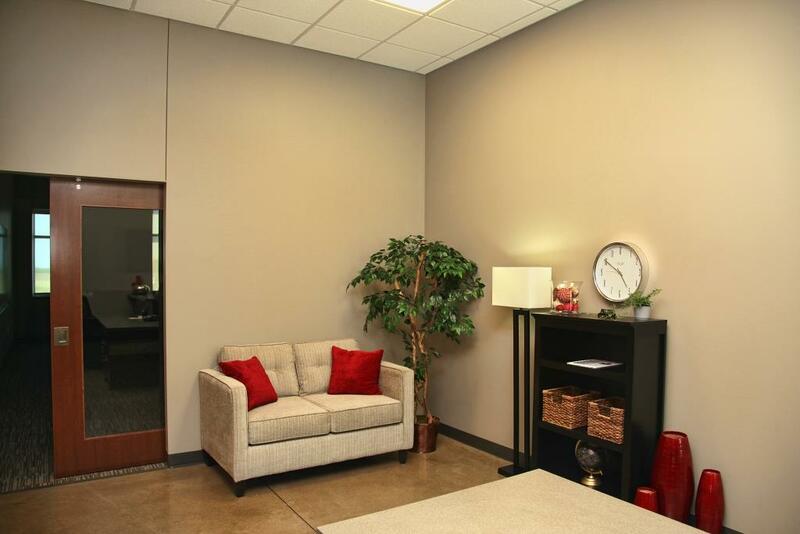 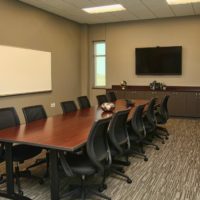 Pre-engineered metal building with three offices, two conference rooms, welcoming entry and large open office space. 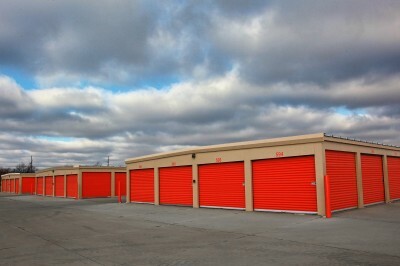 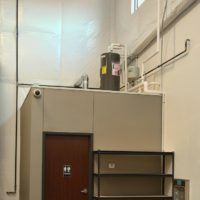 The back section of the building is a storage warehouse.